July 11, 2018 Robert W.
The Venetian Meeting and Convention signs are in great supply when there are events and shows at the Sands Expo / Venetian Convention Center. All vendors at these events need many different types of signs to help them promote their goods and services. With over one and a half million square feet of floor space, the Venetian offers superb meeting and convention facilities. They are located on/near the Las Vegas Strip and offer a wide variety of conveniences. The Venetian Hotel and Casino is second to none on the Vegas Strip ! 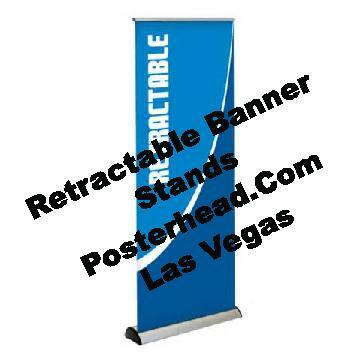 Banner Stands are self standing graphics that can hold a lot of information and are retractable. They are easy to set up and take down in about a minute or so. They are very popular because they are inexpensive and can be used over and over again. More information can be learned from this article: http://www.selfgrowth.com/articles/creative-signs-to-inspire-motivation . Banners are very effective because they are a inexpensive way to communicate to a customer in a large way. Step and repeat and backdrop banners are very useful for display purposes to market your company name and services or simply print your products on so that everybody knows what you sell. These banners are usually in the background and complement additional graphics. A reference for the use of banners and the different types can be found at http://www.selfgrowth.com/articles/banner-printing-an-affordable-marketing-tool . Foam Boards are very useful signs when placed on a easel or other stand when you want to impress clients. These foam board prints are usually 1/2″ or 3/16ths thick and work very well at business presentations. There are many other types of signs that are used at the Venetian . Contact one of the many sign stores nearby to see how they can assist you in your signage needs when you are displaying at this wonderful convention and meeting facility.